CIO Review Magazine have published an article about Rainmaker’s mission to assist airlines operate in a fully connected way. You can read the entire article on CIO Review Magazine. 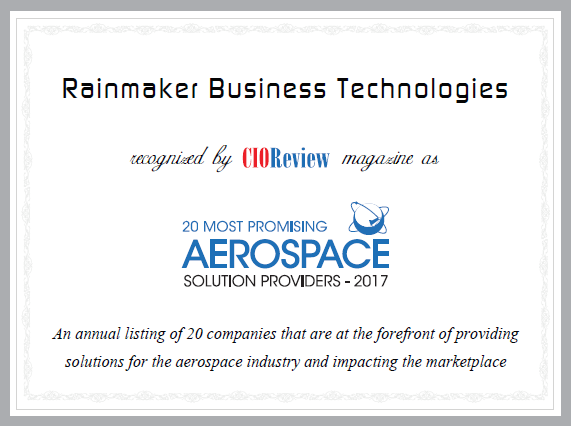 Rainmaker has also been recognised by CIO Review Magazine as one of the “20 Most Promising Aerospace Solution Providers” in 2017.